Didn't fly today. We were put back on standby at noon today. Looks like that ground relay system at Fire base Shepard is working. Bought a camera this morning. Cost. $43.50. It's seems like a nice one. Got two rolls of color film too. 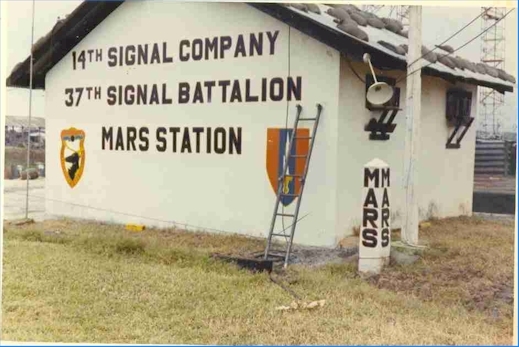 Just had a hot dog from the Rice Paddy Inn, that's the name of the EM Club here at the 12th Signal Battalion (actually this was an error. I was at 37th Signal Battalion.) where we're staying. They have a great menu -- hot dogs with mustard, hot dogs with catsup, hot dogs with onions, and hot dogs with onions, mustard and catsup. With a menu like that they could put Gino's out of business. Had to buy some aftershave today. All my old Spice leaked out on the way up here. I've got some pretty sweet smelling clothes. P.S. Bought a new pack of writing paper. This first sheet was a little tough.